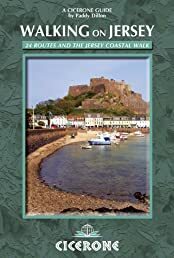 A walking guide to the island of Jersey in the Channel Islands describes 24 walks, parts of many of which can be combined to make up the Jersey Coastal Walk and part of the Channel Islands Way. Famous for sunshine, history and a wonderful coastline, Jersey is an intriguing destination for travellers. Outwardly British but with French overtones, the island has a long tourist season and is often busy with visitors. The walks in this guide use good paths and tracks as well as quiet country roads. Occasionally, more rugged paths are used to explore the excellent cliff coastline. Jersey has plenty of interesting historical sites and attractions to visit including castles, churches and museums. With its companion guide, 'Walking on Guernsey' published at the same time, this is also the first guide to cover the new Channel Islands Way.